Let me just start off by saying this is not a post about relationships….So if you are hear for some advice about how to handle your lover, I would just turn back now! 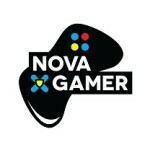 Like 99.9% of the post found on our website this one is about games! 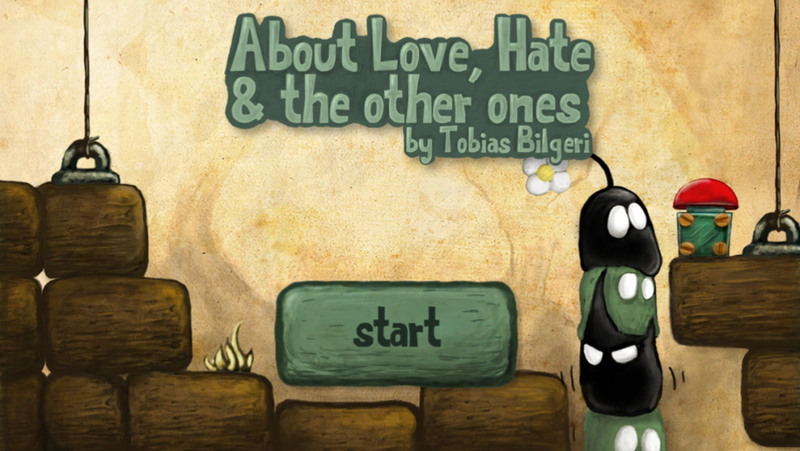 This week we are going to look at a very unique game on iOS By Tobias Bilgeri, About Love, Hate, and the Other Ones. About love, Hate, and the Other Ones was created as part of a graduate project for Kassel, a school for fine arts….Which is quite amazing, and very quickly shows through in this iOS puzzle game. 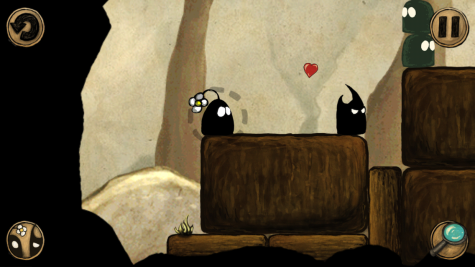 You play as both Love and Hate as you work your way though each room in attempts to reach “the red button”. Love and Hate hope that this button will eventually bring them back home to their hill where they were mysteriously taken from after Love pushed the red button for the first time. Along their journey they come across “the lazy ones”, that are completely content siting around doing nothing. Love and Hate can use the lazy ones as a platform to help reach the red button. This is where the challenge starts. You move the lazy ones by having love and hate whisper to them. Love will whisper “I love you” to have the lazy one move towards him, where hate will whisper “I hate you” to have them walk away. The game play is pretty simple…that being said the challenges are not! I find my self staring at some of the puzzles trying to figure out how to progress to the next level. Luckily this is not a “3 star game” so I do not have to worry about time, or collecting objects on the way. Your goal is simply to hit the red button….that is it. 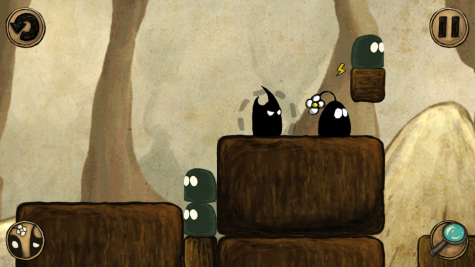 About Love and Hate is a awesome game for the iOS that will keep you entertained for hours! It can be found on the itunes app store for 1.99$ and is well worth every penny. So check it out!